The Training & Placement Cell consisting of the Director, Placement officers and student members are responsible for managing the complete placement process in Campus. The team liaises with the corporate with regards to meetings, discussions, negotiations, invitation and final selection of students to ensure that it is a win-win situation for all the stakeholders involved in this process. 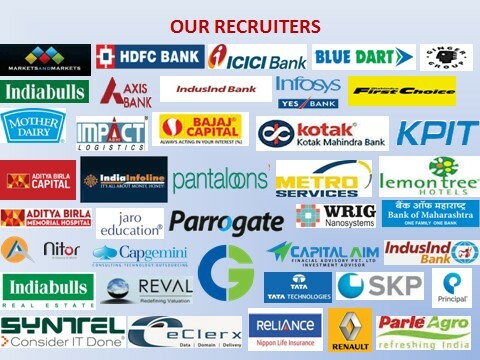 In spite of an economic downturn in the business & industry, the persistent efforts of the Placement Cell along with a bunch of fully motivated & duly trained students, we could achieve placement with an annual record salary package of Rs. 13.00 lakh at the highest. The mean CTC package received by the students was Rs. 6.90 LPA. At Global Business School & Research Centre, a continuous & consistent emphasis on practical training, soft skills development, English language improvement & personality enhancement exercises is an integral part of our daily activities right from the commencement of the MBA Programme. This emphasis on building an appropriate attitude towards the corporate world & developing the required skill sets has stood us in good stead and the feedback received from the employers about our students has been extremely encouraging. 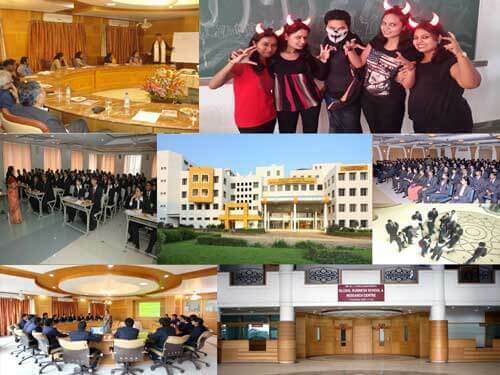 Global Business School & Research Centre provides eleven specialization options for MBA course. Besides traditional specializations like Marketing, HR, Finance, International Business; we provide Biotechnology & Bioinformatics, Hospital & Healthcare Management, Pharmaceutical Management, Business Analytics, Information Technology & System, operation and Supply Chain, Rural & Agri-Business as specialization areas. Hence, companies falling under various industries visit the campus. In the class of 2019, 105 companies visited the campus; out of which 08 were from manufacturing, 16 were from the FMCG/ Retail sector, 07 were from IT, 09 companies were from consulting, 3 were there from Biotechnology, 6 companies were from the Pharmaceutical industry, 6 were purely finance companies, 22 were from financial services, 5 were Hospital & HealthCare, 12 were E-Commerce & 11 were Research & Analytics. A committed team of specialists train & guide the students through intensive classroom demonstrations, mock group discussions & personal interviews. Students are grouped into various committees who assist the placement cell in evolving a broad policy framework & also to identify & design strategies to approach & invite different corporate groups & companies for campus interviews at our state-of-the-art campus. Further, We are associated with Confederation of Indian Industries (CII) to facilitate Corporate exposure for students. It is the duty of the Institute to get good openings for students in companies across different Industry Verticals & Specializations and it is the responsibility of students to perform well and get selected. We have maintained a placement track record of 78% – 96% for the past years and are confident of maintaining and further improving the same. We as an institute can get the best companies to the campus, but eventually, selection entirely depends on the performance of a candidate.